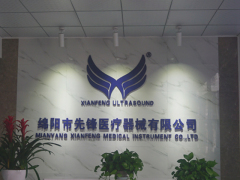 Mianyang Xianfeng Medical Equipment Co., LTD, located in the beautiful western high-tech city Mianyang. The company is a professional enterprises in medical video system research and development, production, and sales. The professional R&D team has been fully involved in the research and development. In 1976, the first B-type ultrasound scanner was developed in China, and has developed all kinds of black and white, color Doppler and Veterinary models of digital ultrasonic imaging diagnostic equipments, which reaches the leading level in China. The company not only provides all kinds of high quality B- type ultrasound machines, but also provides technical design and support for many ultrasonic scanner manufacturers. With the mission of "let science and technology serve health", we will focus on the medical industry, continue to carry out technological innovation, improve product performance and product quality, and make outstanding contributions to the healthy life of human.